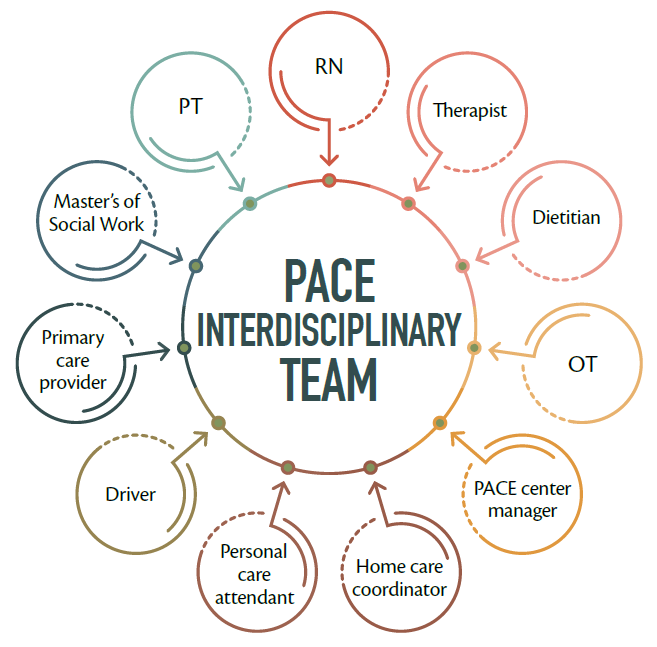 PACE of the Southern Piedmont provides a broad range of services through the efforts of an Interdisciplinary Team (IDT) of healthcare professionals. This team is comprised of physicians, nurses, home care coordinators, therapists, dietitians, social workers, pharmacists, and transportation coordinators who work together, in conjunction with an extensive network of providers familiar with PACE, to meets the overall mind, body, and spirit health needs of every participant. The team works together to create an individualized care plan for every new participant enrolled into the PACE program. Both participants and their caregivers are encouraged to partner with the PACE team during this care planning process, allowing both parties to be actively engaged in care plan decisions. It is this coordinated care and partnership that ensures senior are receiving the best and most comprehensive care possible.